Why Is Baseballia So “Exclusive”? Continue readingWhy Is Baseballia So “Exclusive”? NEWS! Baseballia is Now a PSA Set Registry Seller! Continue readingNEWS! Baseballia is Now a PSA Set Registry Seller! 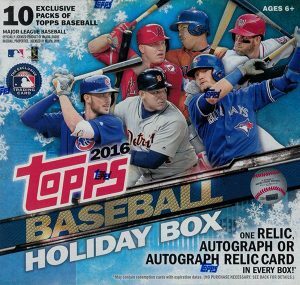 Gotta admit it…my first thought on reading about this set was, “If Santa Claus designed baseball cards this is what they would look like!” Assuming, of course, that Topps didn’t sue the jolly old elf for infringement.